Located on the beautiful south coast of the Orkney mainland, next to the historic Churchill Barriers and Italian Chapel, and overlooking the waters of Scapa Flow, Rockworks Chalets consists of nine well-appointed self-catering Chalets as well as six comfortable bedroom units providing room only accommodation. As part of our exciting and extensive refurbishment plan, April 2019 will see 5 newly refurbished sea front Chalets available for let. Set in the quiet village of St Mary's, the chalets are perfectly situated to act as your 'home from home' while you enjoy a peaceful holiday exploring the many delights of our beautiful and tranquil islands. 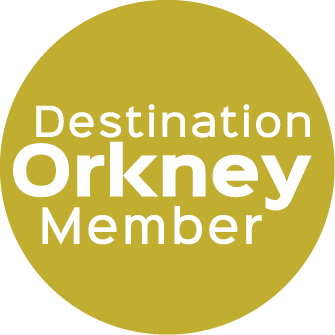 The chalets offer the perfect mix of a quiet rural setting with direct access to Orkney's transport links, meaning you are never more than a short journey from Orkney's main town Kirkwall or for visiting many of our historic and environmental attractions - some are right on your doorstop. Our newly refurbished Chalets (No's 2 - 6) are open for bookings from April 2019. All older style Chalets (No's 7-10) will include a 15% discount on all booking prices. From 01 April Chalet bookings are available for check-in on Tuesdays and Fridays. Short breaks between these days welcome.